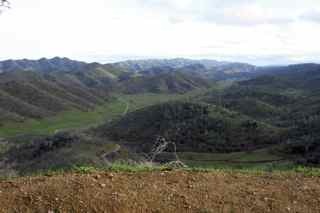 This village is situated at the head of Bear Valley and is distant in a due west line twenty-five miles from Colusa. A great deal of the land around Leesville is low and kept wet till late in the spring, by seepage from the hills on either side. The low land is well set with fine grass. The soil is of the best, and produces almost anything the farmers in the valley choose to raise. The states for the springs in Lake County pass here and make connections with the stage for Cook’s Springs, eights miles distant. There is a good hotel, Leesville Hotel, with comfortable accommodations operated by Peter Perdue, a post office (established on June 27, 1874 with E.C. Peart as Postmaster); one general store, livery stable, wagon shop, blacksmith and several shops so indispensable to a farming community. The village is named after Leander Washington Harl, a Mexican War Veteran, who was also Justice of the Peace, 1869 – 1871, for the Leesville District. His brother, John Lewis Harl, is a Civil War Confederate Veteran.